Delays in the delivery of vessels for the Royal Canadian Navy and the skyrocketing cost of buildings ships can be blamed on the shortcomings of the National Shipbuilding Procurement Strategy, according to Canadian shipbuilders. “A shortage of shipbuilding capacity within the existing framework has resulted in an unaffordable and untenable fleet renewal program,” the Shipbuilding Association of Canada said in a statement released yesterday. In its review of the NSPS, the Liberal government must make sure that competition is built into the procurement process, according to the association. The price of the 15 warships that were to be procured for the RCN Single Class Surface Combatant Project has more than doubled from the initial $14 billion price tag to more than $30 billion, according to a report by the Canadian Broadcasting Corp. (CBC) News. This means the total cost $26.2 million approved by the government for the purchase of those 15 ships and an additional six Arctic Patrol Ships, will cost about $16 billion more and balloon to $42 billion. Is the NSPS headed for troubled waters? The shipbuilders said that way back in 2009, prior to the launch of the NSPS, they approached then Prime Minister Stephen Harper with a recommendation which proposed that each class of ship to be build should be matched to the corresponding shipyards that had the experience and capacity to build them. This, they said, would ensure that the government obtained the vessels they needed within the time frames they had set. Unfortunately, the government “seemingly ignored industry’s advice,” the association said. The NSPS must be amended to include any Canadian shipyard capable of delivering ships to the program. 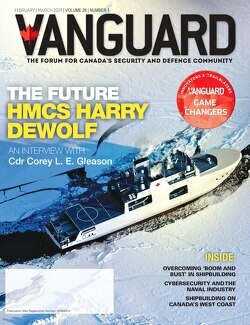 Is there a FREMM design in Canada's future combat ship? When you can only cut the cost down by adding more competition, the realtion with you shipyards is turned sour. A lack of trust. You are forcing companies to let them fall there abuse of power. Then there is someting wrong in the company morality. Aim your arrows on their morals. Adding more kapitalism by competition isn’t the solution. In The Netherlands and more European countries there mostly 1 technological highest grade naval shipbuilder. We don’t have such excessive cost overruns. Merely just a few millions. Seek for the JSS Karel Doorman.